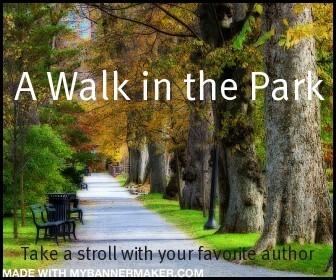 I have a special treat for you this morning on our Walk in the Park. I’ve asked Robin Mellom, the fabulous author of Ditched: A Love Story (review here), to share a little about perseverance as a writer. So here is a bit of encouragement for your day! There were several times I wanted to give up in my path to publication, but it was the advice from other writers, agents and editors that kept me going. I really think that’s true. While we’re waiting for our turn, we have to do the work. Write the book. And then write another one. And then…yes…write another one. My first book that sold, DITCHED, was actually the sixth book I’d written. And I don’t regret writing those other books for one moment. They helped me develop my skills, find my voice and develop the confidence to take a concept like the one I came up with for DITCHED and do it in the way it deserved. I wasn’t ready to write that novel ten years ago. However, the gravy for this story? The very first book I wrote (yep, ten years ago!) is now being re-imagined and will be published as THE CLASSROOM in June. So you never know if something sitting in that drawer might season up nicely for the future. In BUSTED, 17-year-old Serenity takes a job running errands for an eccentric couple and finds herself involved in the crazy world of LA nightlife. After a misunderstanding lands her in jail, she has one fateful night to clear her name, help a rising movie starlet avoid the paparazzi and find Adam, the coworker who is quickly stealing her heart. As she makes decisions that can change the course of her life, Serenity discovers just how far she’ll go to set the record straight. Anyone else feel as encouraged by this as I do? Hope this brightens your Monday! Have a wonderful day! ← In My Mailbox #27: The One with More Signed Books!